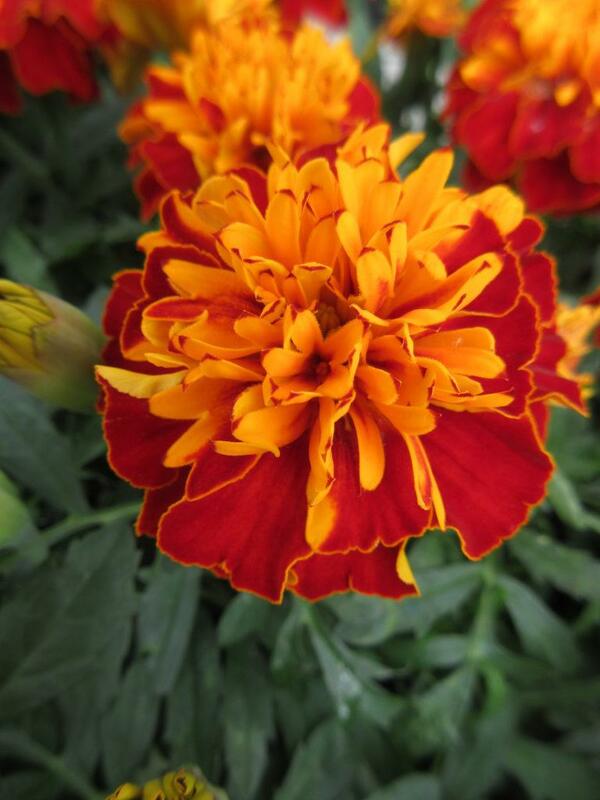 “Open afresh your rounds of starry folds, Ye ardent Marigolds” John Keats. 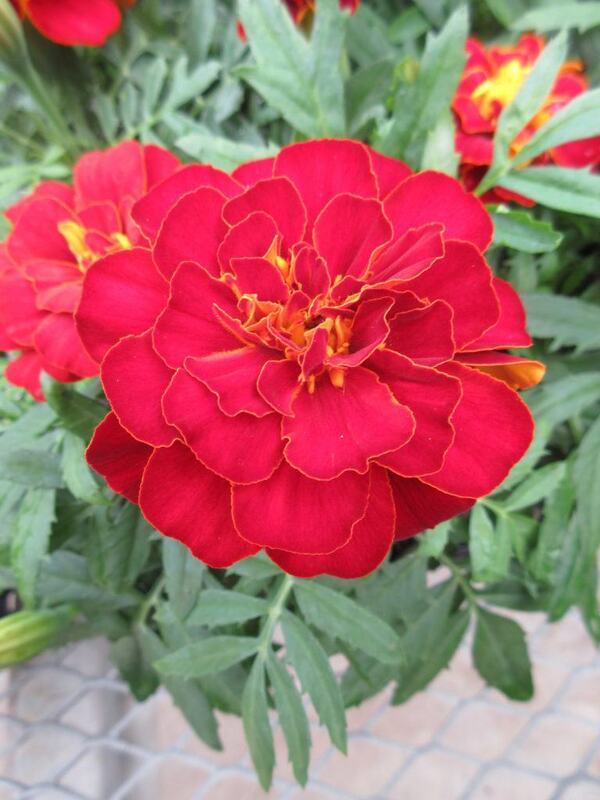 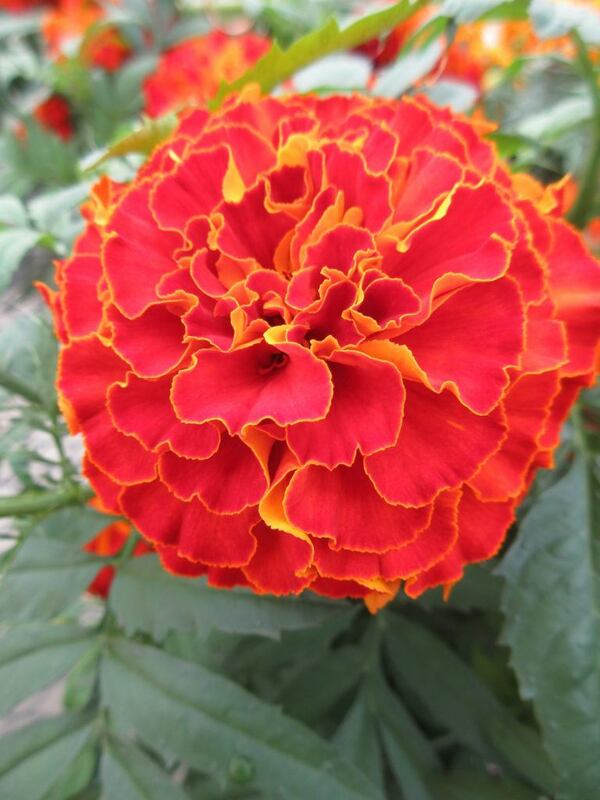 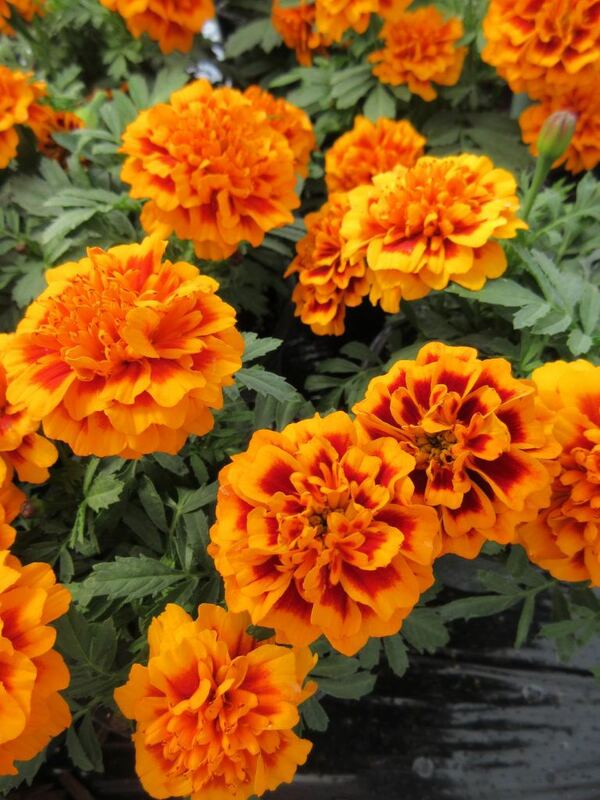 I continue to be amazed by marigolds and have been excited to see so many new selections with massive blooms and an exciting foray in to deeper reds. 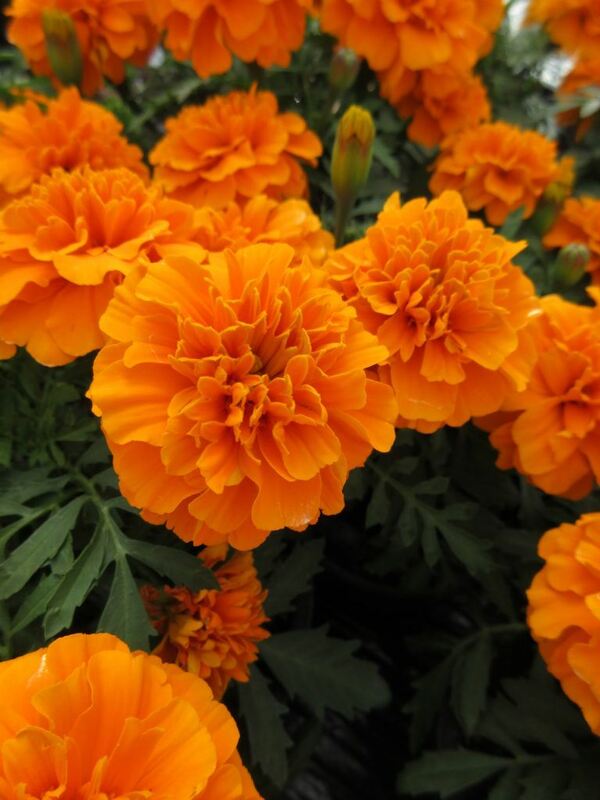 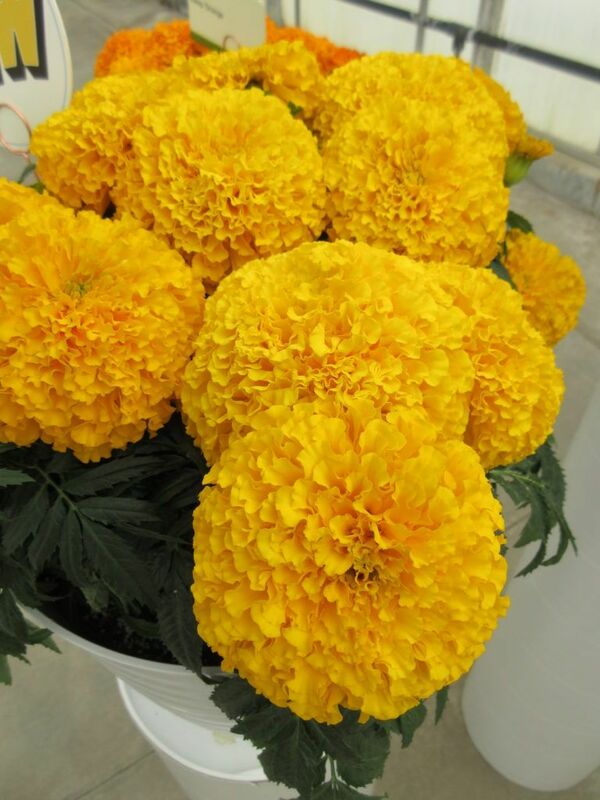 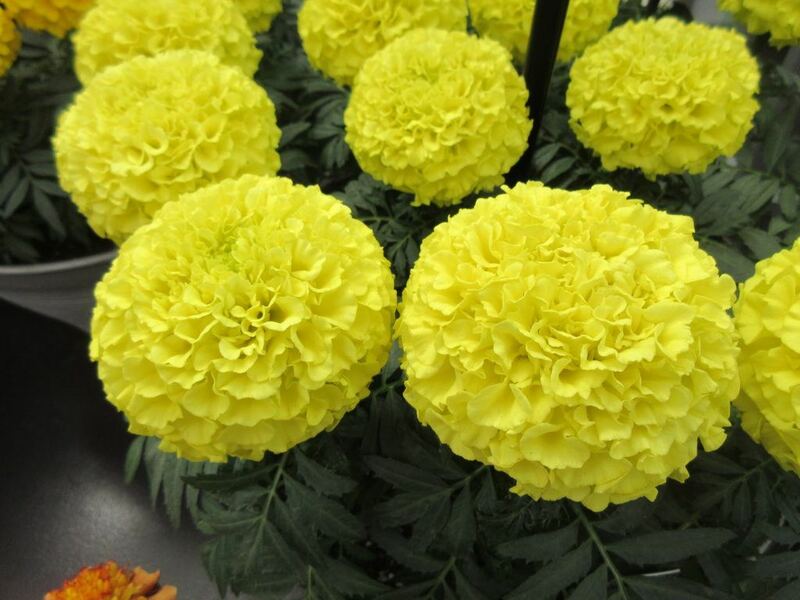 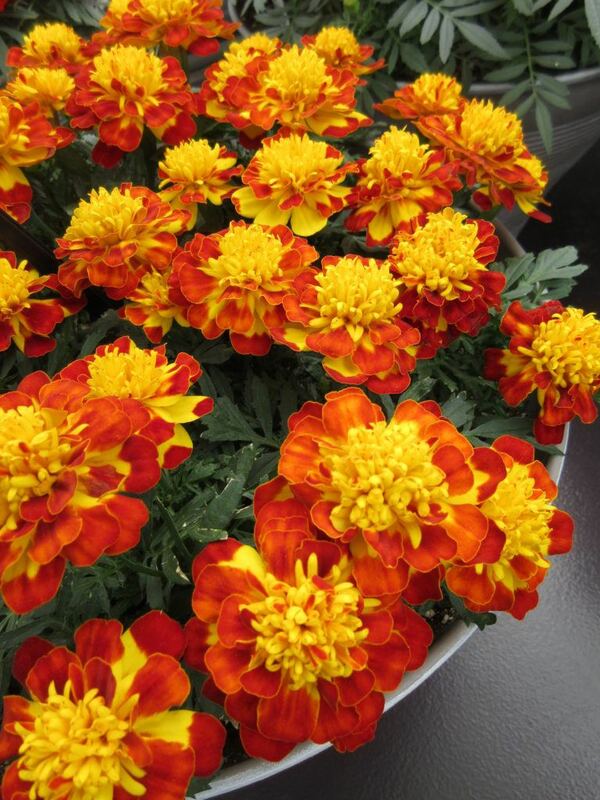 Marigolds were the “gateway plant” for me as a child as my mother grew marigolds and sweet alyssum (Lobularia maritima) together and we always collected and distributed the seed from these plants every year for later application in the garden for the following season. 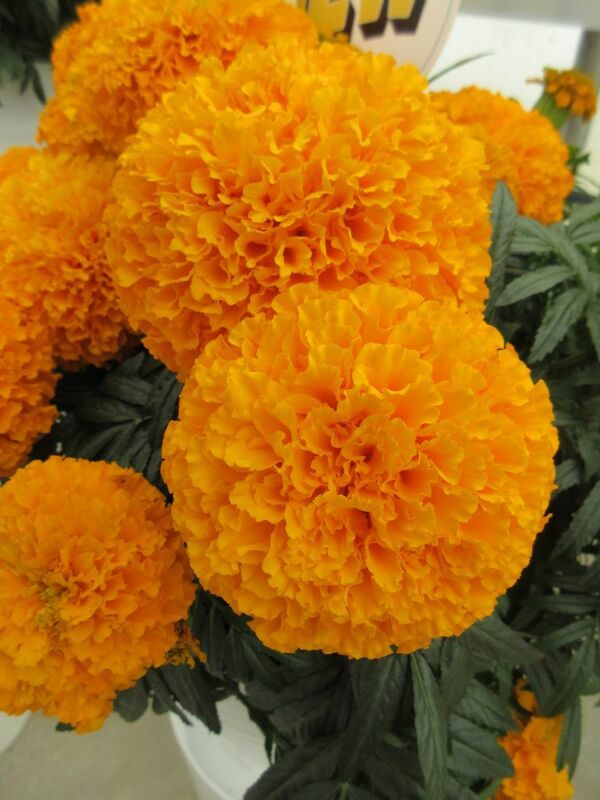 I recall peeling open the dried seed pods and separating the numerous long, slender, two-toned seeds To say that marigolds (Tagetes sp.) 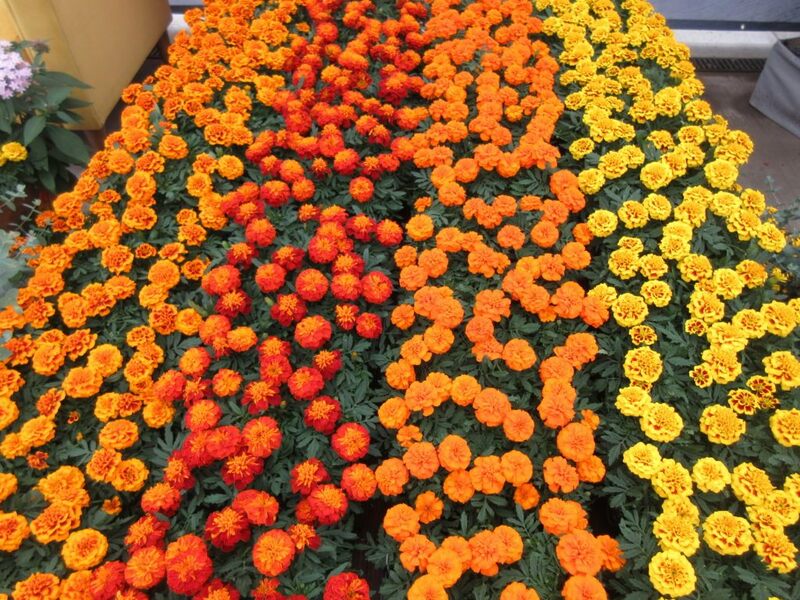 are ubiquitous, as some gardeners seem inclined, is to not appreciate their impact, durability and extended color out in the garden. 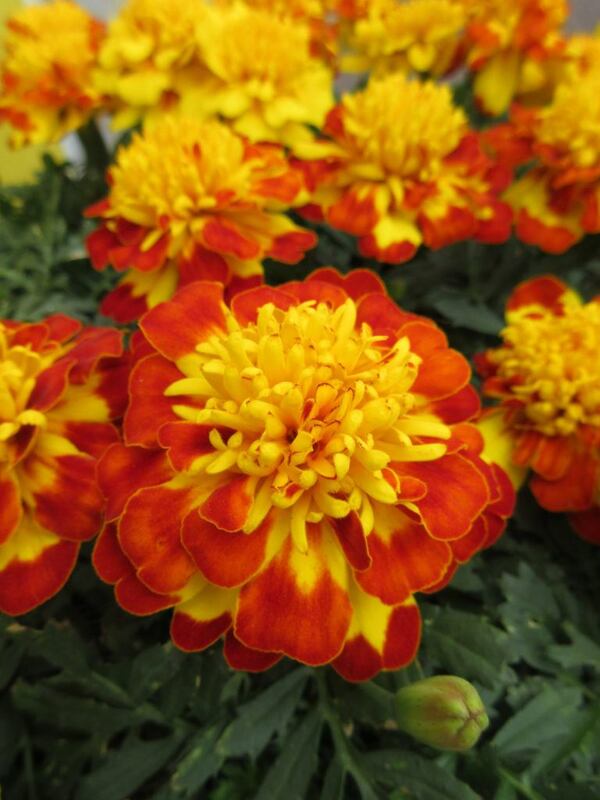 The common marigold selections, both French (T. patula) and African (T. erecta) and their hybrids, continue to expand annually and offer a wide selection of exciting opportunities. 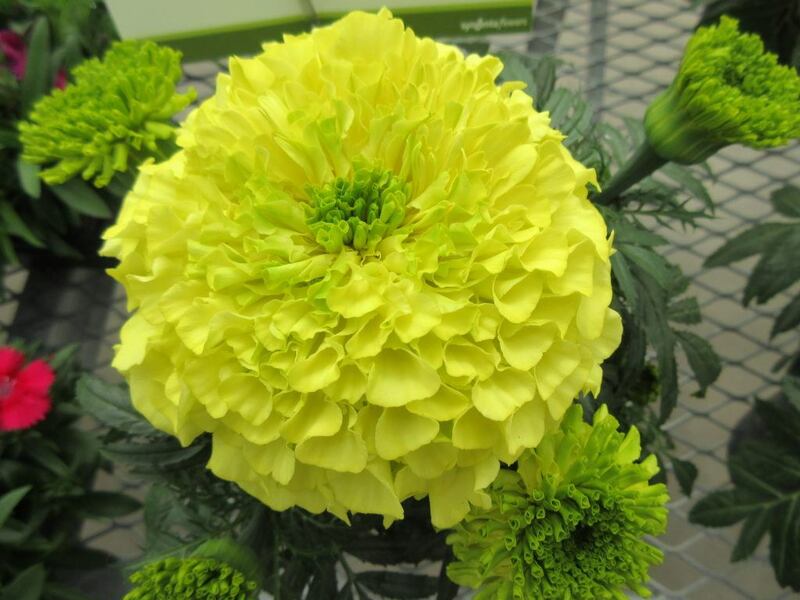 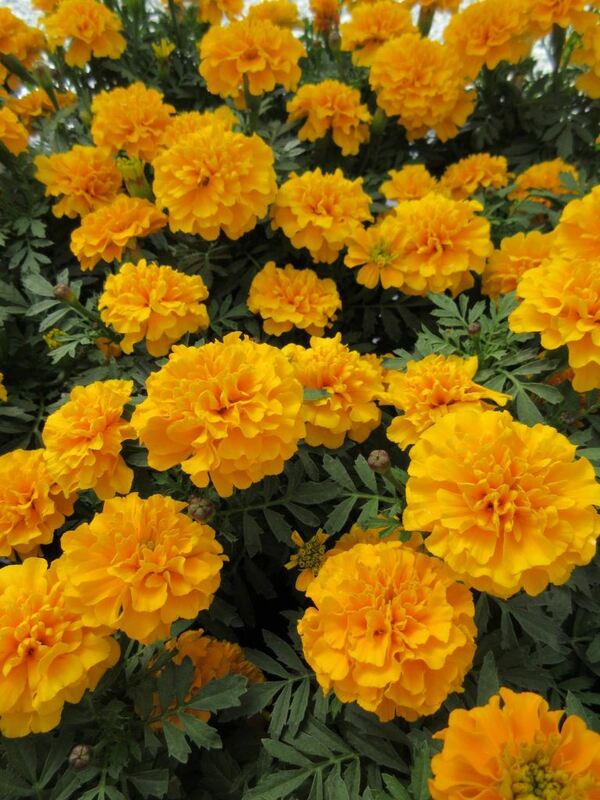 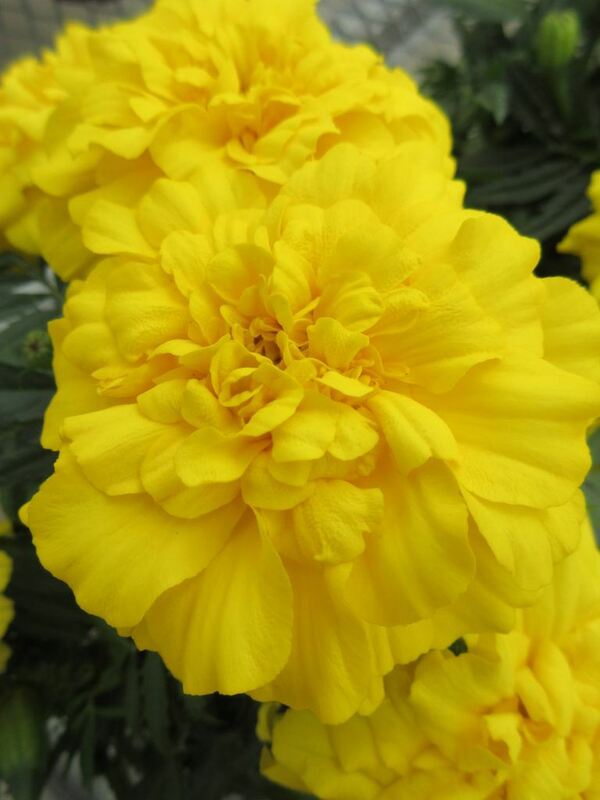 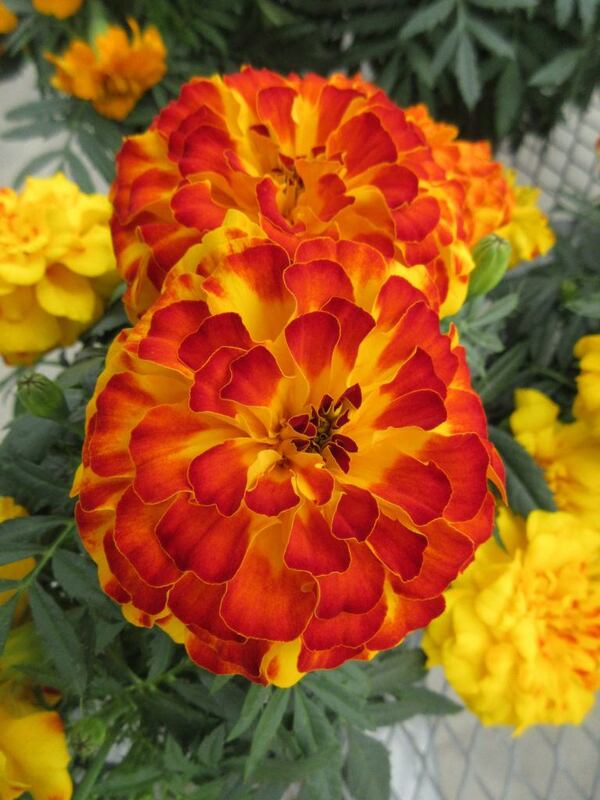 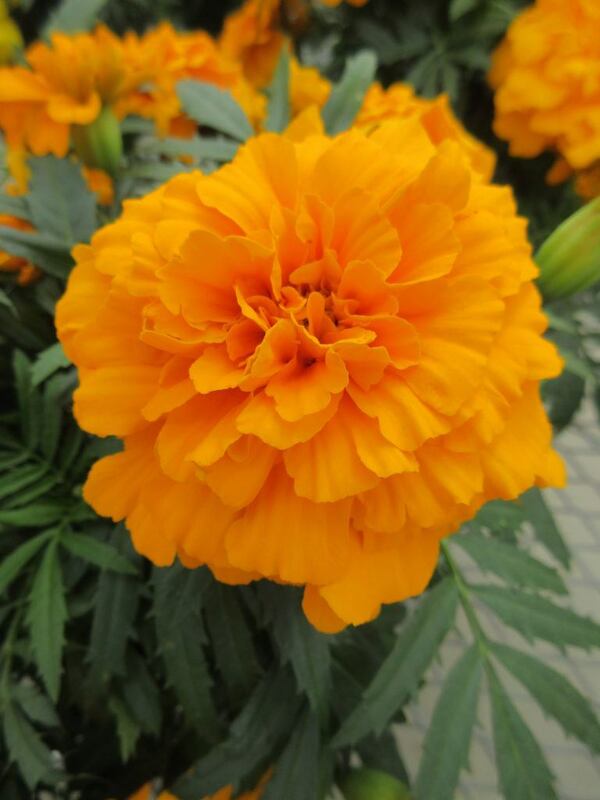 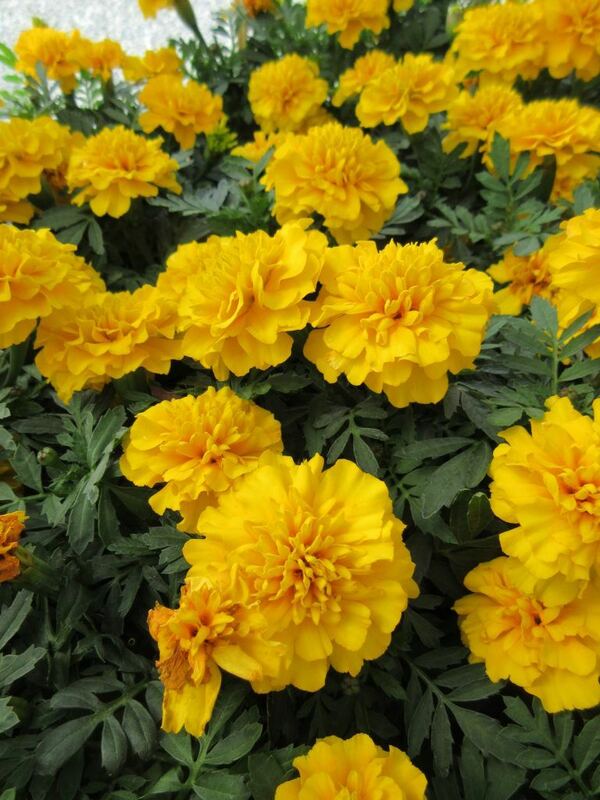 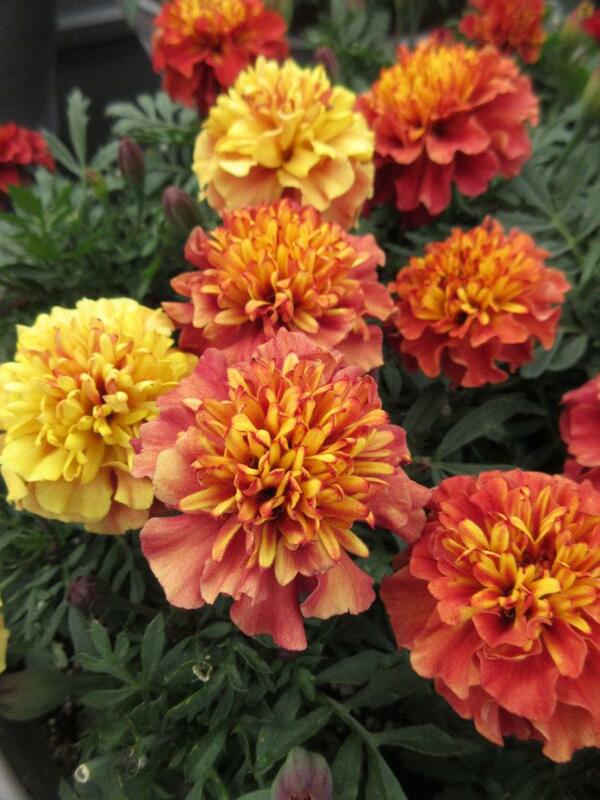 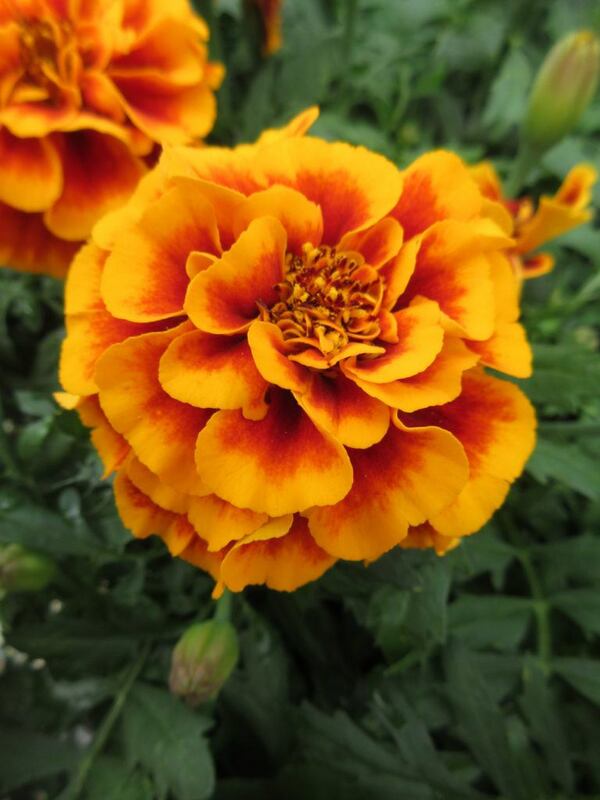 Keep in mind that Tagetes species are native to North and South America. 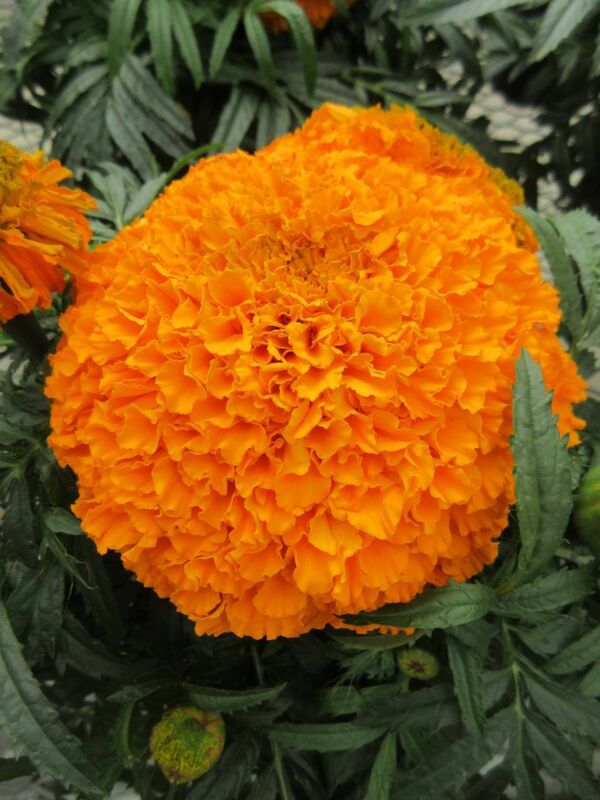 We grew a variety called ‘Garland Orange’ in 2018 that ended up being literally 60″ tall!!! 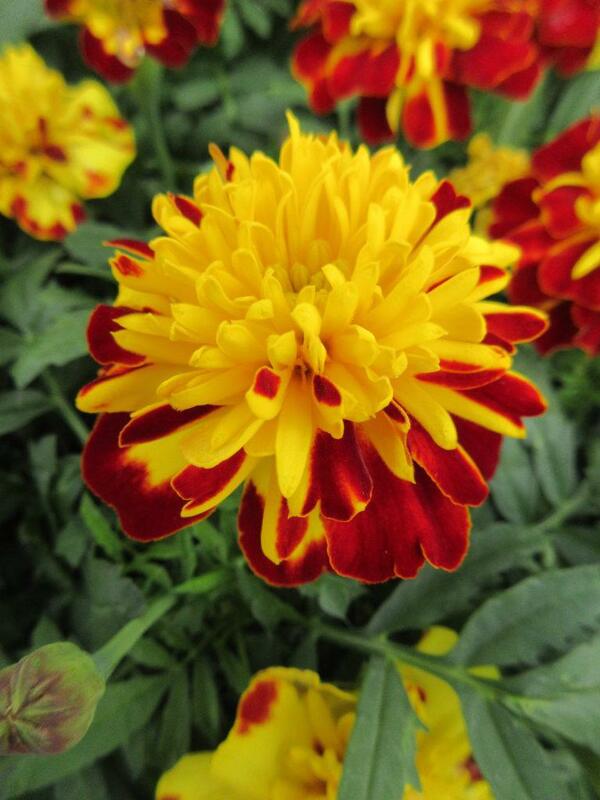 We also continue to trial all the “white” selections as well as some of the exciting new bicolors and red selections (look for ‘Fireball’!). 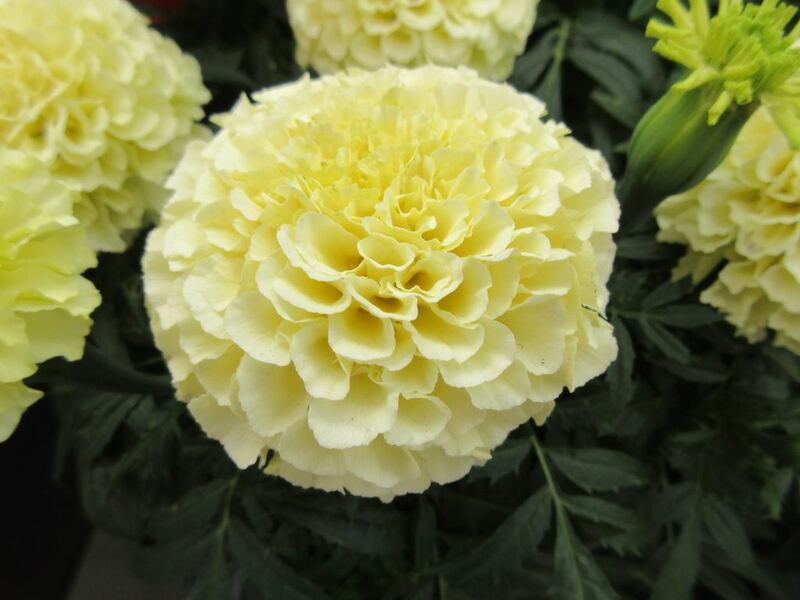 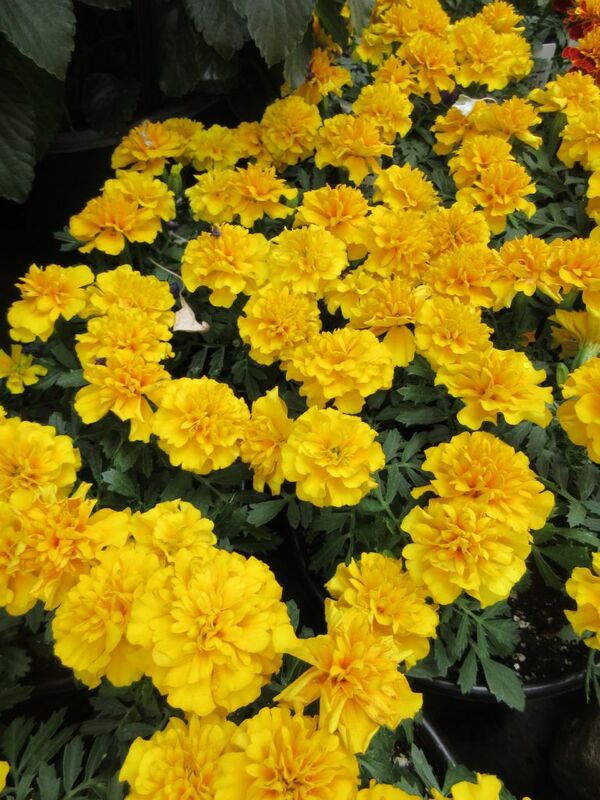 Whether they are used in massing, containers or as specimens, these plants are always solid performers. 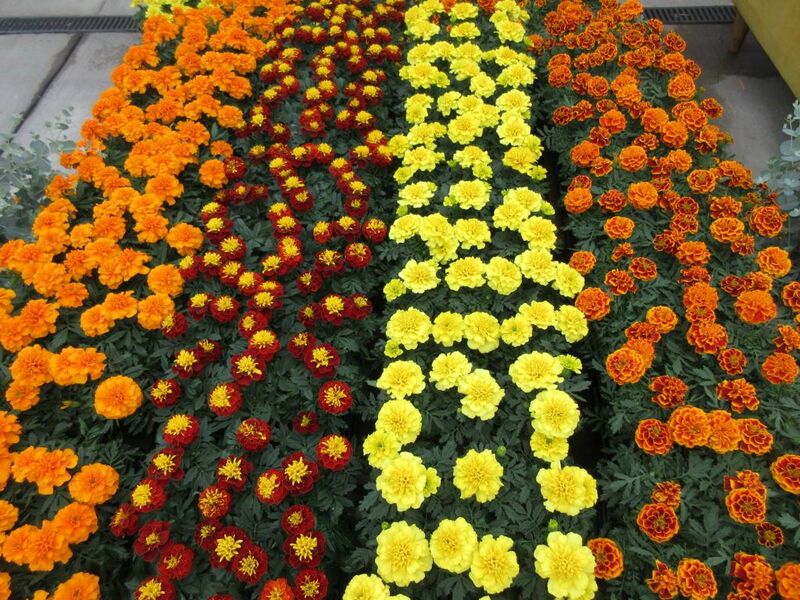 Check out other species like T. tenuifolia (signet marigold) and T. lucida (sweet mace) for a different look but similar impact. 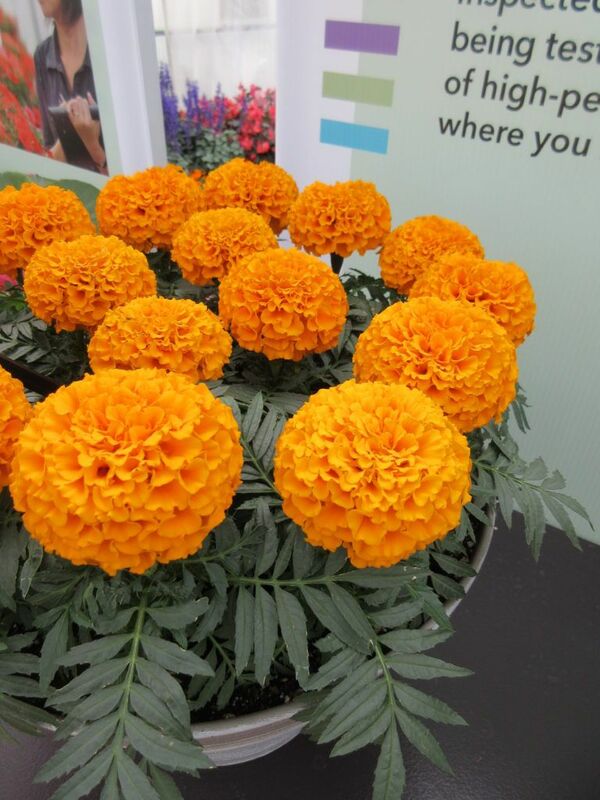 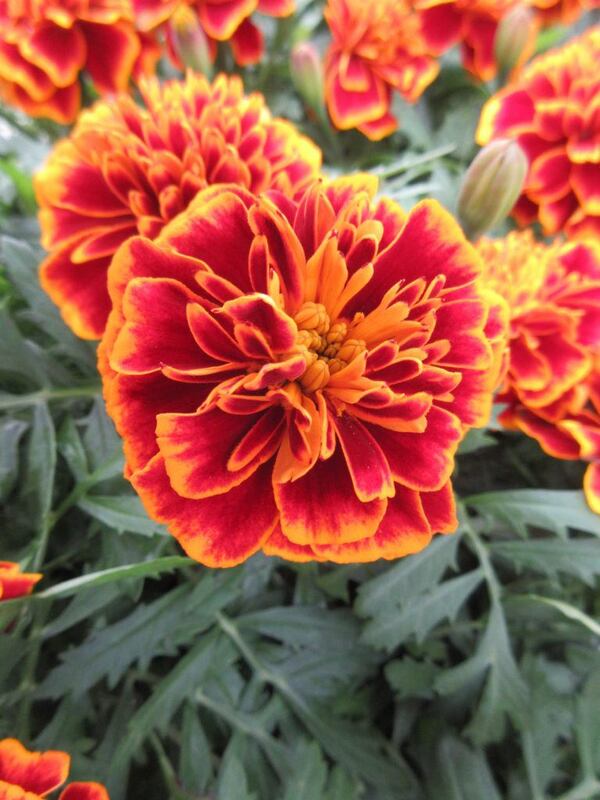 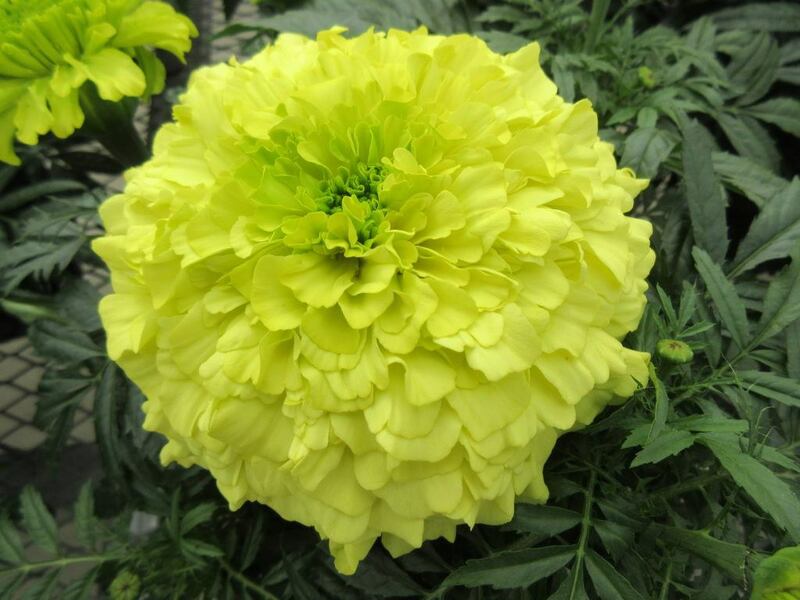 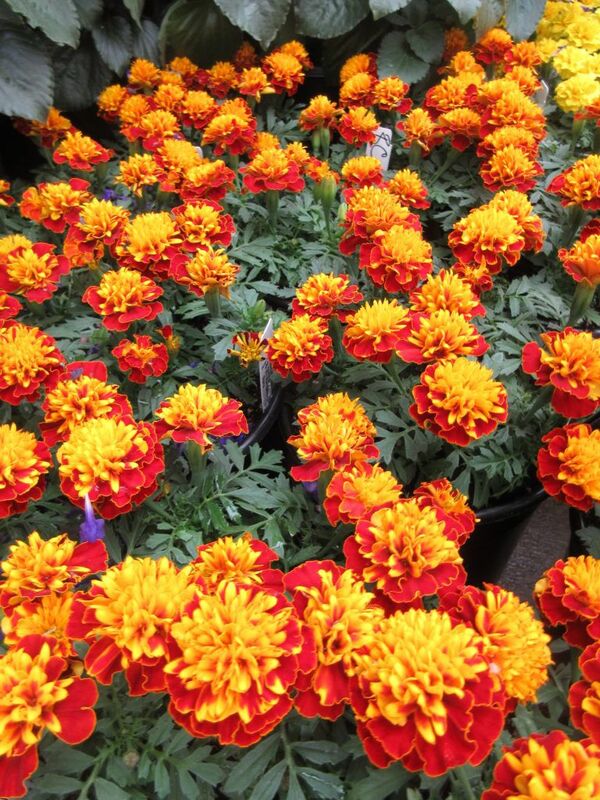 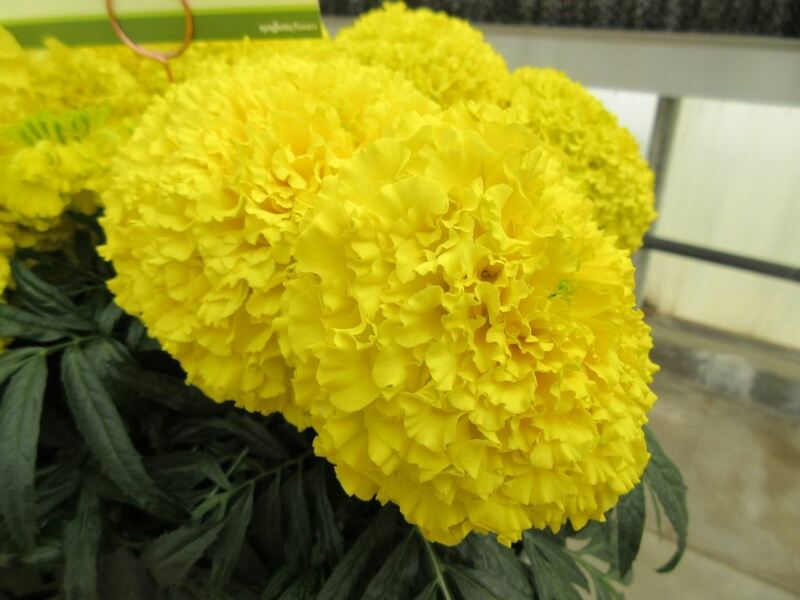 All of these photos are of marigolds (some new…some not) I saw at the California Spring Trials (CAST) recently.